I know the reviews for Murder on the Orient Express have been mixed at best but the cast is so incredible that I had to check it out anyway and I’m sorry to confirm that the masses were right – it is disappointing. 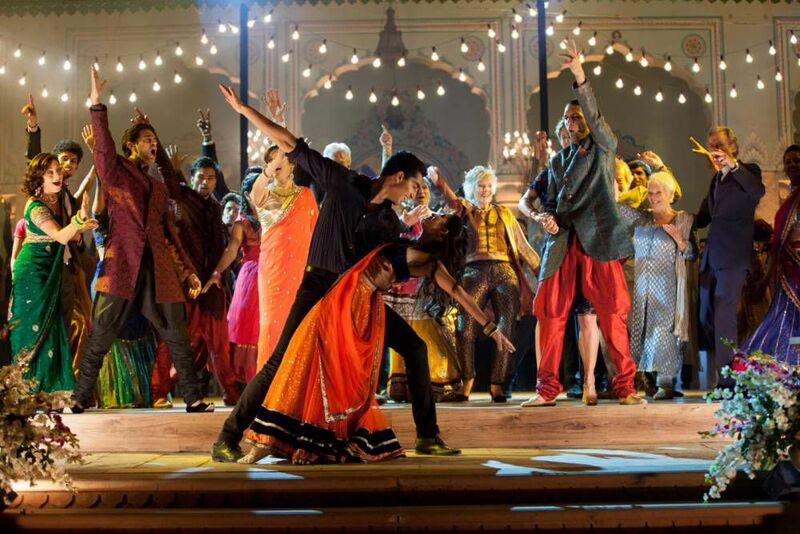 I did love the first Exotic Marigold Hotel because it focused on a fresh group of people – those who are getting on a bit – and was set in India, which doesn’t happen often. This time around, the novelty had worn off and it was simply not as good. The warmth and love I felt for the first one isn’t replicated this time around and I think it’s because it was trying to be too similar to the first one while juggling too many storylines. I had heard loads of brilliant reviews for this film so I went in with very high expectations. Skyfall is great but not as amazing as I assumed it would be. 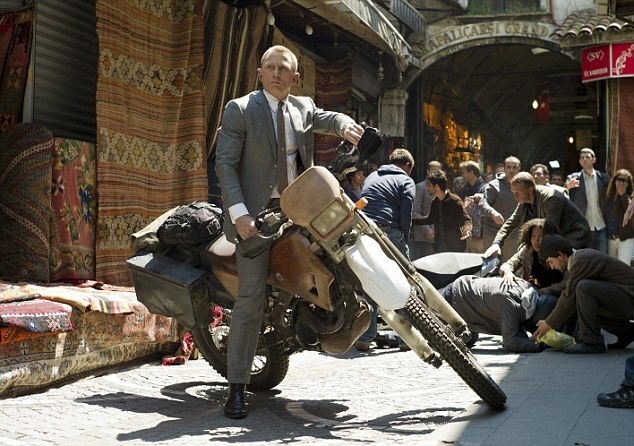 It is definitely the best Daniel Craig Bond film and certainly in comparison to Quantum of Solace. I liked that it emphasised Bond’s age and questioned his effectiveness as an agent as well as the future of espionage as a whole. When a mission in Turkey goes awry and Bond (Daniel Craig) is accidentally shot by a fellow agent, M’s leadership at MI6 is called into question as Bond’s mission was to retrieve a list of undercover agents and their aliases. 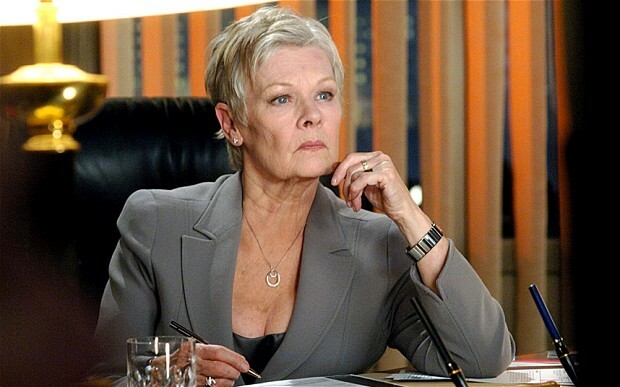 With Bond assumed dead and the list still out in the open, M (Dame Judi Dench) has made a serious mistake and the new head of intelligence and security, Gareth Mallory (Ralph Fiennes) asks her to step down. After an explosion hits MI6, Bond decides to head back to London to help M. He is unfit, a drunkard and getting a bit old. However, M sends him out to find the list and the villain behind it. 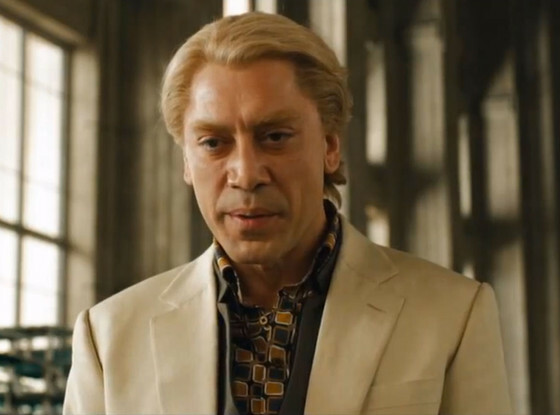 It turns out the villain, Silva (Javier Bardem) was an old agent for M and he wants his revenge on her. It seems her past is catching up with her and Bond needs to help her survive. I like that this is a personal attack on M because it makes the villain and his motives far more believable. It isn’t something ridiculous like they want to take over the world, it is simple revenge on a woman he believes betrayed him. It was good to see a trademark office character, M, take a leading role in this film and she has a lot of screen time- mainly outside the office. The questions in the film are relevant today- how can guns fight cyber terrorists? What is the point of MI6? 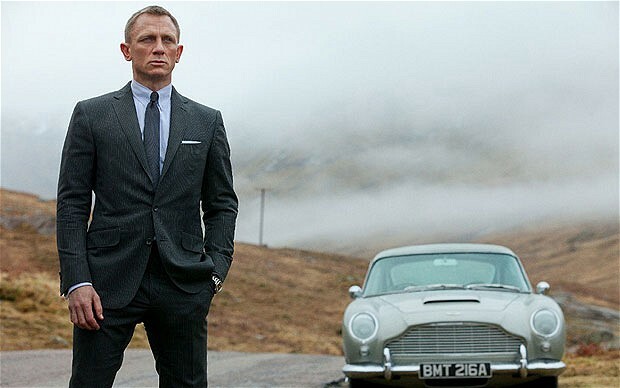 Is Bond too old to be an agent? I liked that about it. It was contemporary, relevant and modern but it still stayed true to its roots. It’s a tough balancing act but I think it was treated well. I thought the Bond girls, Naomie Harris (as Craig’s fellow agent) and Bérénice Marlohe (one of Silva’s women) were grossly underused. 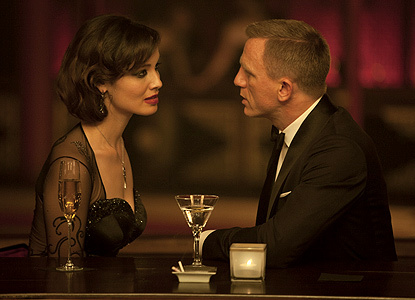 Usually, the Bond girl has a lot of screen time but these were definitely minor parts. They bought big plot moments to the film but weren’t around very much. I understand it is because M was the main woman in this story and you couldn’t have included everyone but I would have liked to have seen more. 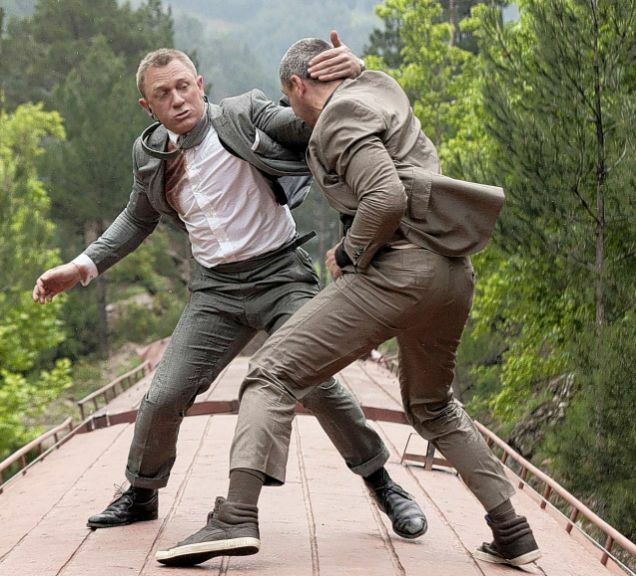 Daniel Craig was brilliant as ever and I think he makes a fantastic Bond. Judi Dench was perfect again but two people that stood out for me was Ben Whishaw, who plays Q, and Javier Bardem, as the villain. Silva was different to usual villains as he had a personal vendetta against someone and clearly has mental problems. He isn’t particularly violent himself- he rigs stuff through computers or gets his henchmen to do it for him. He was a psychological villain which is refreshing. 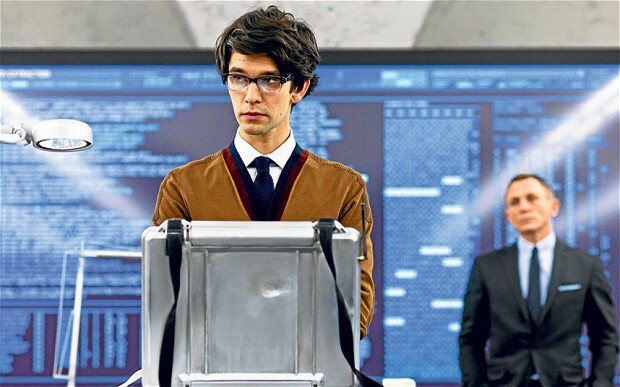 Whishaw was brilliant as he brought such humour to the role of Q. The first time Bond is introduced to him is hilarious because Whishaw is far younger than his predecessors. The action was really good, I loved that central London was used a lot (especially the tube! ), I loved that you learned about Bond’s past, M’s past and the showdown at the end is far different to what’s been done before. The settings in this are amazing and it looks brilliant. It is fresh, new and relevant and I enjoyed it a lot. I felt the one-liners fell a little flat and someone of the stunts/ explosions/ effects were a bit ridiculous. Overall, it was a really enjoyable film and I think the highly positive reviews affected how I received it because I was expecting so much more. 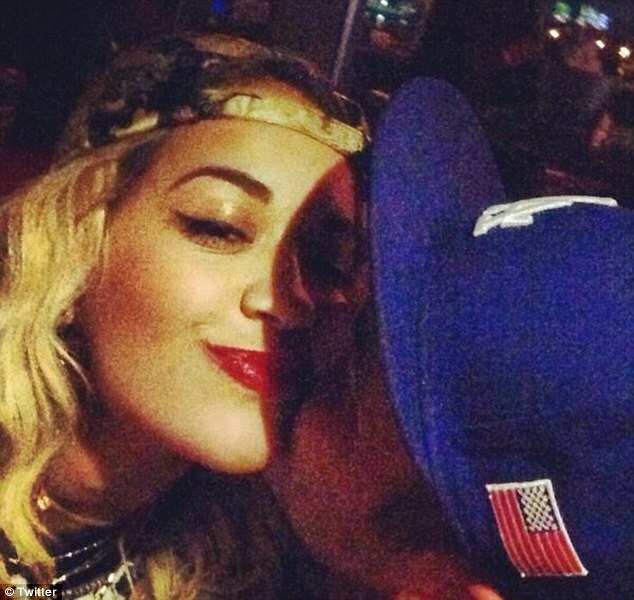 Rita Ora and Rob Kardashian have finally confirmed they are together after months of speculation. They haven’t said anything after months of claiming to be just friends but Rob posted these pictures on his Twitter which says it all. 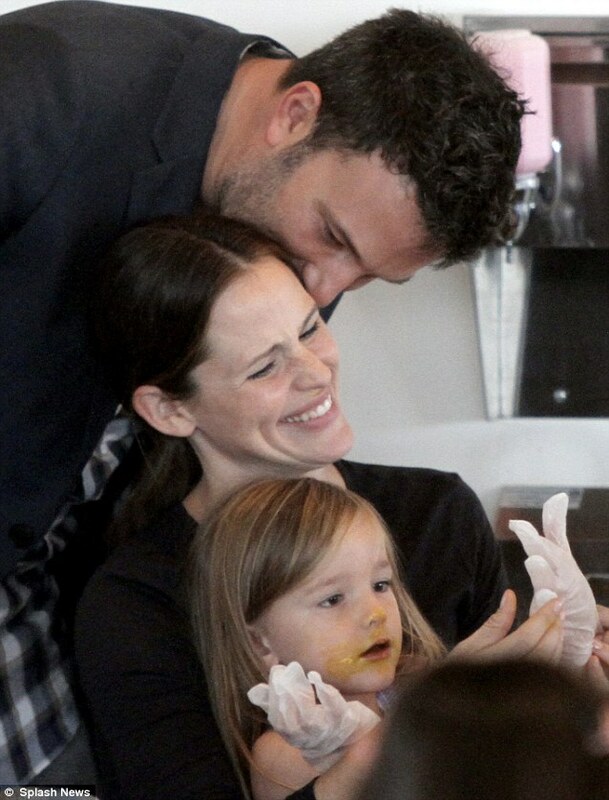 I love these pictures because it shows what a sweet family Ben Affleck and Jennifer Garner have. 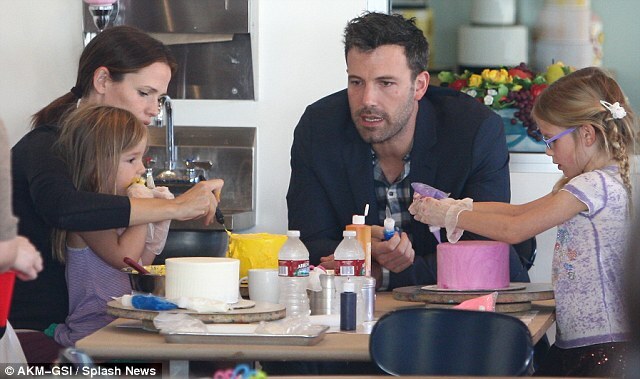 They are eating at a cafe with their children Violet and Seraphina. Aren’t they just adorable?! This is a relatively sensible outfit for Nicki Minaj, who was in London recently to promote her new lipgloss for MAC. I just couldn’t help but wonder why she would have so many ruffles on her bottom. Surely she doesn’t want to accentuate it anymore? Dame Judi Dench showed she was down with the kids as she revealed she is aware of what her surname currently means on the streets. 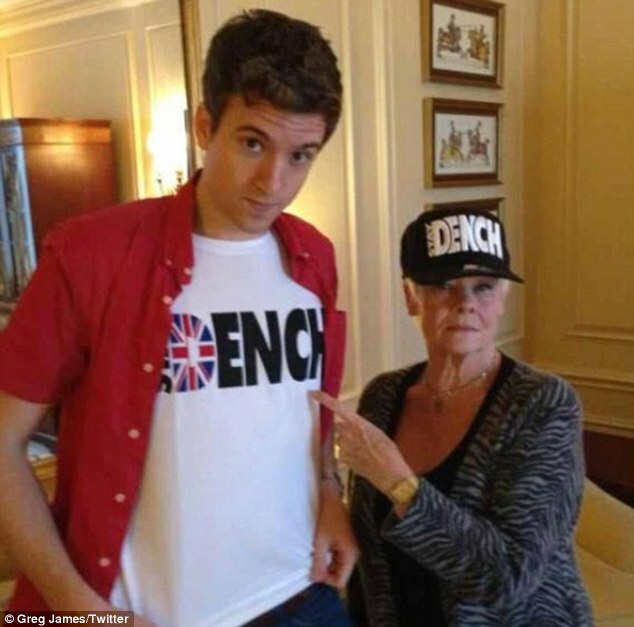 “Dench” means nice or sick and even has a clothing range which Judi wore alongside Radio 1 presenter Greg James. What a cool lady!